Last weekend we went to the 6th edition of Rome Maker Faire, the largest in the world after the “Bay Area” and “New York” in the United States. Organised by InnovaCamera, a Special Agency of the Rome Chamber of Commerce, this year over 100.000 people attended the fair and almost 700 different projects were shown (from a total of 61 different countries!). Maker Faire usually gathers participants of all kinds, from businessmen and inventors to school students and curious of all ages. It is a beautiful opportunity to meet innovators and touch projects from many different fields. “Citizens and companies need more makers, the digital artisans, that should get involved in the 4.0 industry” – said Massimo Banzi, Arduino co-founder and Maker Faire curator – “We started the fair in Rome in 2013, and 35.000 people participated. Today we are way bigger: and we don’t wanna stop now”. For us, the best part was being able to talk with other companies like ours from all over the world, exchanging opinions, tips and tricks and future perspectives. And, of course, discovering all the inventions shown there. Fabrizio, our COO, has his own favourite project: Paper.o. “It is an innovative and just born technological tool that recycles home paper waste: insert any kind of paper in the machine, mix it with water, and then you get a recycled but fresh new sheet that you can use for everything. I think it’s great since it moves the paper recycling process in the domestic environment, similarly to what Felfil Evo does for plastic”. Felfil’s CEO, Fabrizio (yes, we have many Fabrizio here, in case you’re wondering), was more pragmatic: he appreciated all the beautiful projects shown at the Maker Faire Rome, but when asked about his favourite moment of the entire fair, he was sincere: “The Saturday night dinner for the exhibitors! But not only because of the tasty food: it was a social networking moment, where one could talk to each other in a more informal way”. 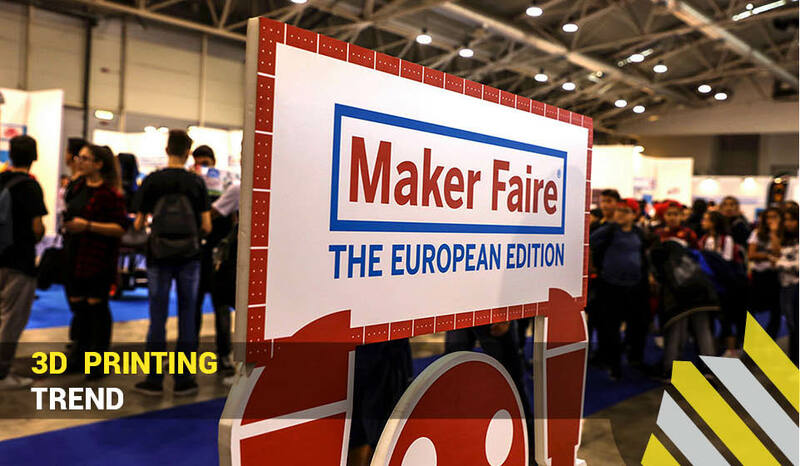 Did you go to Maker Faire Rome? Let us know and share your experience!